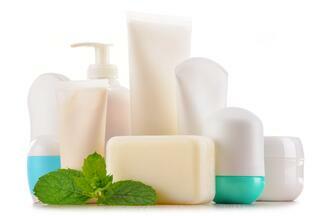 Reports show that sales in natural body care products have increased 10.6%, making it a billion-dollar industry. A product is considered natural when it is minimally processed and does not contain harsh chemicals and artificial ingredients. In order to be considered organic, products must undergo a stringent qualification process. According to the Organic Trade Association, in order for a personal care product to be considered organic, it must contain at least 70% organic ingredients. Furthermore, the United States Department of Agriculture (USDA) defines what is organic and requires an annual inspection in order to maintain the privilege of the designation. Although more manufacturers are meeting the requirements to be considered organic, only 1.25% of personal care products are considered to be such. Therefore, this industry has ample room for growth. As the natural body care industry continues to grow, celebrities are becoming increasingly involved in the marketing of these products. Actress and business woman Jessica Alba is doing more these days than gracing our movie and television screens. She is the founder of Honest Company, a line of over 100 products for body, beauty and home that are natural and sustainable. These products are especially for parents who wish to provide products to their children that exclude potentially harmful ingredients. In addition to products, this company’s mission is to promote a healthy and happy world. Since its inception in 2012 and acceptance as a certified B Corporation, a for profit designation that is committed to using resources for the greater good, The Honest Company has been an integral part in countless donations and volunteer opportunities that have created a positive social impact. Lastly, Jessica Alba was a vocal advocate of the Safe Chemicals Act which is an act that was passed to enforce stricter guidelines on manufacturers’ use of toxic chemicals. Another company providing natural products sourced in a sustainable way is Burt’s Bees. Since its humble beginnings in 1984 of only providing honey and beeswax products, it has grown to become a producer of over 350 natural health and beauty products. Burt’s Bees co-founder, Burt Shavitz, shaped the culture and mission of the company. His minimalist lifestyle and love of bees continues to inspire campaigns to raise awareness about the plight of the honeybee. In 2016, Burt’s Bees introduced a Bring Back the Bees campaign and employed celebrities Trojan Bellisario, actress who plays Spencer Hastings on Pretty Little Liars, and Zosia Mamet, actress and musician, to encourage patrons to buy limited-edition lip balms and to take a “selfless selfie.” For each selfie and purchase, the Burt’s Bees Foundation donated funds to plant wildflower seeds which provided nourishment to honeybees in efforts to delay and hopefully prevent their extinction. As the natural body care industry continues to expand, we are likely to see an increase creative campaigns using familiar, celebrity faces to grab our attention for the greater good.